Traditional panels are limited in power, inefficient, and frankly are not attractive. Solving this, Solaria uses ground-breaking solar panel technology that significantly increases solar energy output while giving the customer an attractive, uniform visual appearance. Solaria’s innovative solar cell technology is designed to achieve higher performance, reliability, and boost efficiency requiring less roof space to maximize solar energy production compared to traditional solar panels. Engineered with patented ribbon-less, solder-free cell-to-cell connections increase reliability to exceed past the 25-year manufacture warranty. Created with a sleek all-black appearance to look beautiful on your home and complements your curbside appeal these higher efficiency modules produce more power per square foot, reducing the number of panels needing installed on your roof. Solaria is synonymous with high quality, durability and high performance since the release of its solar photovoltaic products. Solaria products are continuously tested by third parties, in-house, and certified globally. Silfab utilizes precision engineering and automation to produce superior reliability and performance with the lowest defect rate in the US. Optimized for both Residential and Commercial projects Silfab’s ultra-high-efficiency modules are the choice when looking for a cost-effective, local product with high power density per square foot. Silfab’s fully-automated manufacturing facility ensures precision engineering is applied at every stage. Performance and Superior reliability and combine to create one of the highest quality solar panels with one of the lowest defect rate in the United States. When you install Silfab modules, you are getting maximum power density and long-term reliability. On top of that, you will be receiving premium quality modules with one of the most trusted warranty programs in the industry. Silfab produces its American-made solar panels north of Seattle at 3886 Hammer Dr, Bellingham, Washington (in the old Itek Energy plant). Enphase is committed to building the highest-quality products in solar. Manufactured in Santa Clara, California. Get more power from the same solar panels achieving the highest efficiency for module-level power electronics when using Enphase microinverters. This means greater environmental impact, and more savings for you. With real-time and in-depth insights with MyEnlighten you can learn how much solar energy you are generating from your computer, tablet, or phone at anytime. As an add-on, you can track your consumption in real-time and see how much your solar offsets your usage (Ask your consultant about consumption tracking). Unlike other types of inverters Each microinverter connects to a single solar panel. This means, if there is a dirty, shaded or problem panel, the rest of the system keeps running smoothly while alerting you. 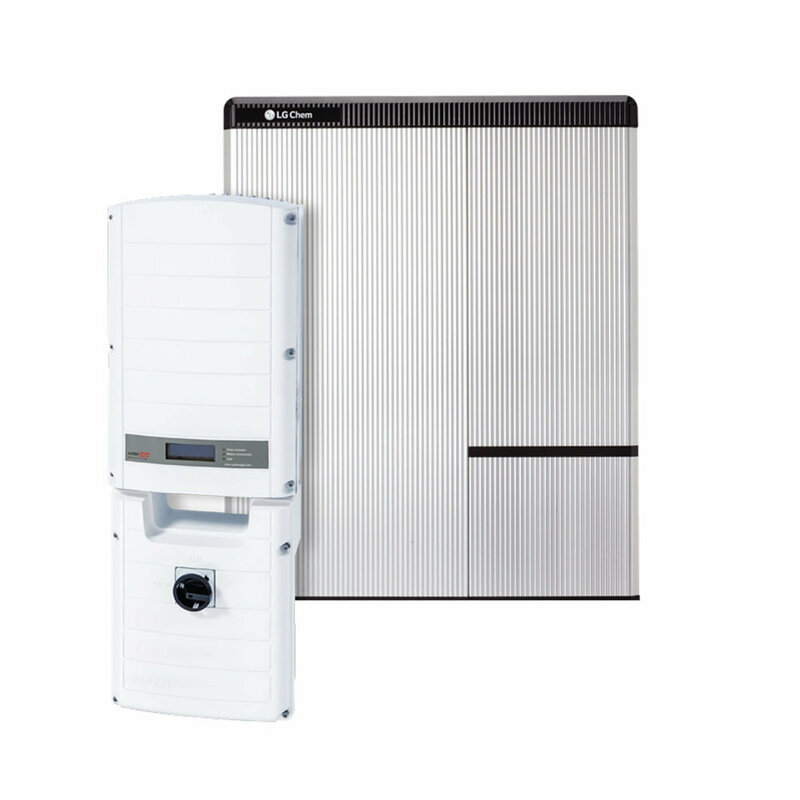 SolarEdge's single phase inverter with HD-Wave technology, winner of the prestigious 2016 Intersolar award and the renowned 2018 Edison Award, breaks the mold of traditional inverters. 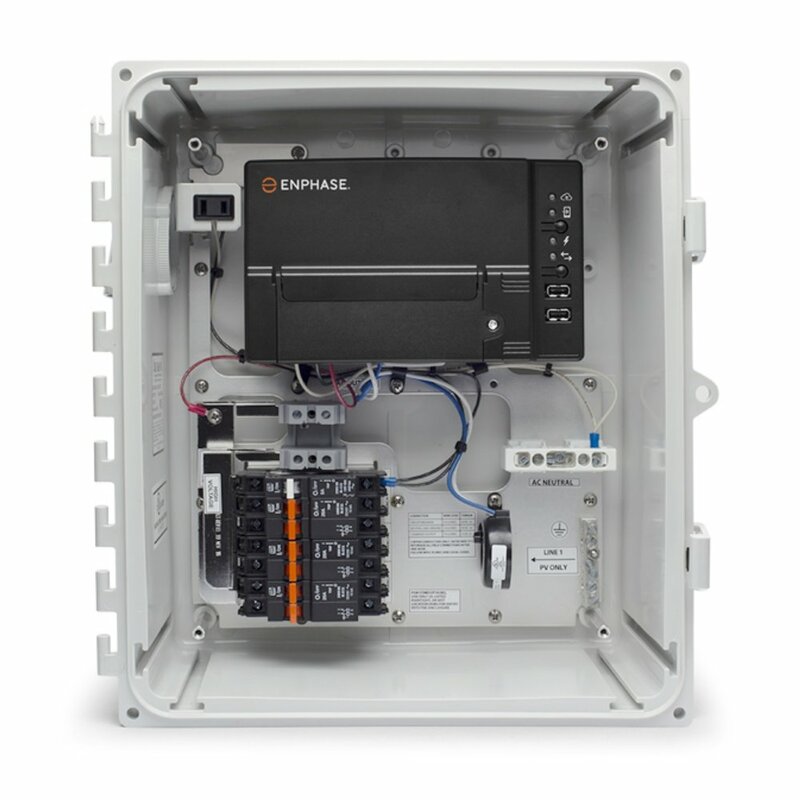 SolarEdge HD-Wave power optimizers and inverters comes with a built-in direct current (DC) safety switch, integrated rapid shutdown (approved for WA & Oregon regulatory markets) and a standard 12-year warranty with an option to increase to 25-years. Every SolarEdge system further benefits from free, advanced monitoring tracking the performance of each of the modules in your system at all times, bringing you updates on your system performance anytime, anywhere. SolarEdge's EV charging single phase inverters offer homeowners the ability to charge their electric vehicles up to 6 times faster than a standard Level 1 charger. This is accomplished through an innovative solar boost mode that charges the EV using utility and solar energy at the same time. For business owners, build customer loyalty by providing a place for your customers to fill up their EVs with clean solar energy from your store. Powered by Panasonic Li-ion technology, the Pika Energy Smart Battery is the most powerful and flexible smart energy storage solution available to homeowners today. With up to 17.1 kWh of storage capacity in a surprisingly small footprint, Pika’s Harbor has enough power and capability to help you save money and self supply, while also serving backup duty. Pika Energy is an ideal choice for backup duty that requires a lot of power to start. Unlike the Tesla Powerwall, if the battery is ever completely drained, it has the capability to charge the system using solar power alone nor without the help of the grid. Harbor smart batteries connect directly to the Pika Islanding Inverter without any efficiency-robbing intermediate hardware. To unlocking greater power and capacity, it can be upgraded to a Harbor Plus with the addition of two battery modules. The Residential Energy Storage Unit by LG Chem has been one of the biggest successes in on-grid home energy storage. Using our state-of-the-art battery backup system, LG Chem provides most optimal energy solution with a long lifespan and a top-notch quality. Unlike a grid-tied solar system which automatically shuts off when utility power goes out, the RESU can store surplus energy generated from rooftop solar panels for use when needed. The compact and lightweight nature of the RESU is world-class. It is designed to allow easy wall-mounted or floor-standing installation for both indoor and outdoor applications. Combine multiple battery backs to increase the amount of power you are able to store. StorEdge™ home energy backup battery solution automatically provides backup power in case of grid interruption and allows homeowners to maximize self-consumption to achieve higher energy independence. StorEdge’s direct current (DC) connected solution allows for high system storage efficiency for more power harvesting. When charging, the solar power is stored directly into the battery. Unlike the Tesla Powerwall, no additional conversion from alternating current (AC) to DC and back to AC is needed. This gives you an overall more efficient solar electric plus battery backup system than the Powerwall. StorEdge’s solar battery backup supports higher power output with the new LG Residential Energy Storage Unit (RESU). An essential part of a resilience plan is planning for emergency backup power. When there is a power outage energy storage provides the peace of mind. In event of a natural disaster, a combination of solar energy and battery is used to power important devices (the refrigerator, TV, lights and AC outlets). Reduce your carbon footprint by storing excess solar energy in your battery during the day and using it when you need it. Now monitor the battery status, PV production, and self-consumption data with the StorEdge online monitoring app and web portal. For nearly 20 years, IronRidge designs and manufactures residential and commercial racking systems by working closely with solar professionals across the globe to build products that are strong, simple and cost-effective. Allowing for fewer roof penetrations and more cost-effective system designs IronRidge’s unique curved profile increases structural strength and spanning capability. This increases the ability to resist uplift, protect against buckling and safely and efficiently transfer loads into the building structure. FlashFoot2 is an all-in-one roof attachment for mounting XR Rails to composition shingle roofs. Its integrated design incorporates both structural and waterproofing features into a single assembly. This eliminates the need for separate standoffs, flashings, and L-feet, and reduces the overall number of installation procedures. Every component in the IronRidge Solar Mount System has been tested to the limit and proven in extreme environments: rain, wind and snow. IronRidge’s rigorous approach has led to unique structural features, such as curved rails, universal fastening objects and reinforced flashings. All of our products are fully-certified, code-compliant, listed to UL 2703 and backed by a 20-year warranty. 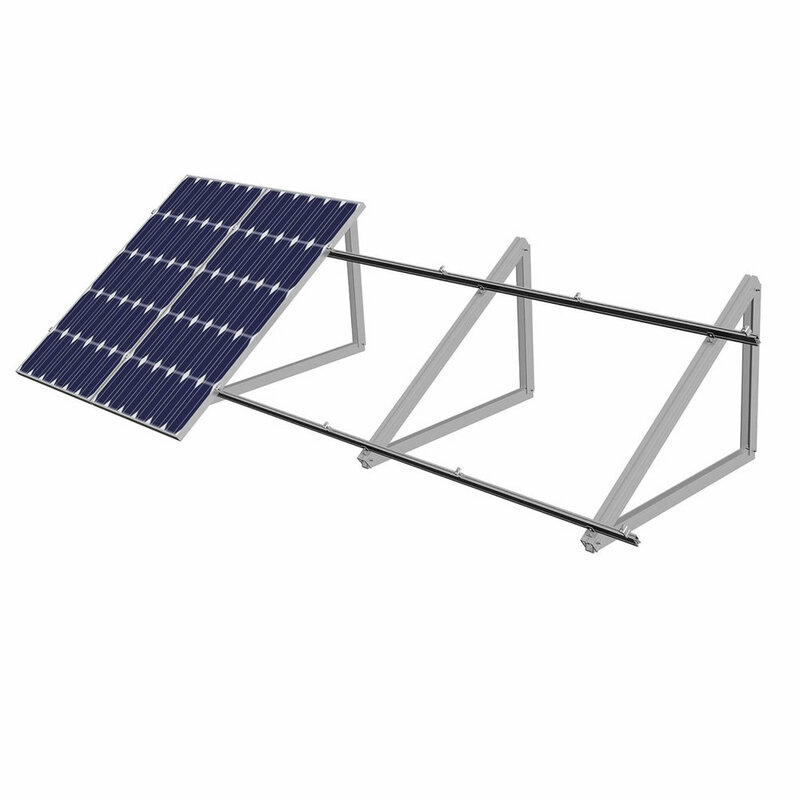 SunModo, meaning “the way of the sun,” is a private U.S. company based in Vancouver, Washington focusing on innovative racking and mounting solutions make solar installation easy, more reliable and more affordable. SunModo is dedicated to providing innovative racking solutions that help us install systems quickly and painlessly. Their products set the standard for durability and safety while their R&D team is constantly engineering hassle-reducing innovations that meet industry standards and customers’ needs. SunModo proudly introduces the SunShield™ Awning System – the next big solar application. The easy-to-install solar system does double duty, protecting your building and people from intense heat, while at the same time generating clean, renewable solar electricity. Your customers deserve the best. Install the SunPort™ Carport System and give the gift of shade and protection from the rain all the while reducing your monthly electric bills. The system maximizes energy harvesting and minimizes structural weight with a lightweight, cost effective, and aesthetically pleasing aluminum design. LG Solar gives you the power to choose. Whether you’re looking to add to your existing system or maximize your solar output, all of our reliable modules are backed by one of the strongest warranty programs in the industry. LG offers a 25-year product warranty for LG NeON® R, including labor, in addition to an enhanced performance warranty. After 25 years, LG NeON® R is guaranteed to produce at least 88.4% of its initial power output. The LG NeON® R has been designed to significantly enhance its output, making it efficient even in limited space. LG NeON R now performs better on sunny days, thanks to its improved temperature coefficient. Hyundai Heavy Industries Green Energy, a member of Hyundai Heavy Industries Group, offers best quality and high endurance PV modules since 2004. As a Heavy Industries manufacturer, Hyundai uses processes superior to standard solar panel manufacturing techniques. Protect your investments with Hyundai’s durable tempered glass and reinforced frame design that withstand rigorous weather conditions such as heavy snow, strong wind, and shore/salty conditions. Since 1972 Hyundai have been one of the most trusted names in the heavy industries sector. Commercial and EPC projects around the world choose Hyundai as they enable a secure and high returning investment. Giving you peace of mind for a high quality, high performing product manufactured by a diversified market leader. As of October 1, 2018, the manufacturing facility located at 800 Cornwall Avenue, in Bellingham, WA is being operated as Silfab Solar. If you are a Sunbridge Customer and have any questions regarding claims, returns or warranty please contact us (360) 313-7190 or email us at support@sunbridgesolar.com. As of October, Silfab Solar has expanded its operations to include Bellingham WA becoming one of the largest manufacturers of quality PV modules and PV solutions in North America. With over 35 years of experience, Silfab Solar is an international leader offering superior quality products backed by an industry-leading 25-year Enhanced Product Warranty and 30-year Performance Warranty. Interested in learning more about Silfab Products? Contact us today! As of October 1, 2018, the manufacturing facility located at 4050 NW Evergreen Rd, Hillsboro, OR 97124 is being operated as SunPower. If you are a Sunbridge Customer and have any questions regarding claims, returns or warranty please call us at (360) 313-7190 or by emailing us at hello@sunbridgesolar.com. If you are interested learning more about the latest solar products you may call Sunbridge Solar at (360) 313-7190 or by emailing us at hello@sunbridgesolar.com.